AnglicareSA has welcomed the Federal Government’s $100 million package to help combat domestic violence. Acting Chief Executive Officer, Jackie Howard said increased government funding is vital in combatting violence against women and children. Federal Government figures show that one in six Australian women has experienced violence from a current or former partner, and 63 women have been killed so far this year. 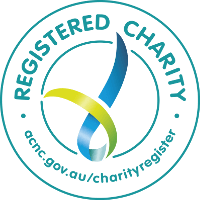 “AnglicareSA provide support to over 500 families annually through a variety of programs engaging victims and perpetrators of domestic and family violence, and funding plays a critical role in managing these programs. “Having coordinated legal, social work and cultural liaison services in a single location means that those who need these services have much easier access to them in the one spot which will ultimately lead to better service delivery. The $15 million of funding is a step in the right direction to achieve this. “We also welcome the $14 million expansion of the DV-alert programme which will ensure that those on the front line are equipped to provide the help and support that is desperately needed. “Today’s announcement allows for a much needed increase in tools and resources to help combat domestic violence. Safe communities will be realised through increased awareness and understanding of violence and its causes, a shared vision held by communities for safe and respectful relationships, and swift and appropriate responses when safety is violated.